My Little Paris is an excellent resource for those looking for French culture, cuisine, travel advice, and trends - all on one website. Each month, they send out a box to their subscribers featuring an assortment of local goodies, from beauty products to sunglasses, tote bags, and more. Earlier in the year, I was asked to participate in My Little Paris' blogger program along with several talented artists and designers from around the globe. 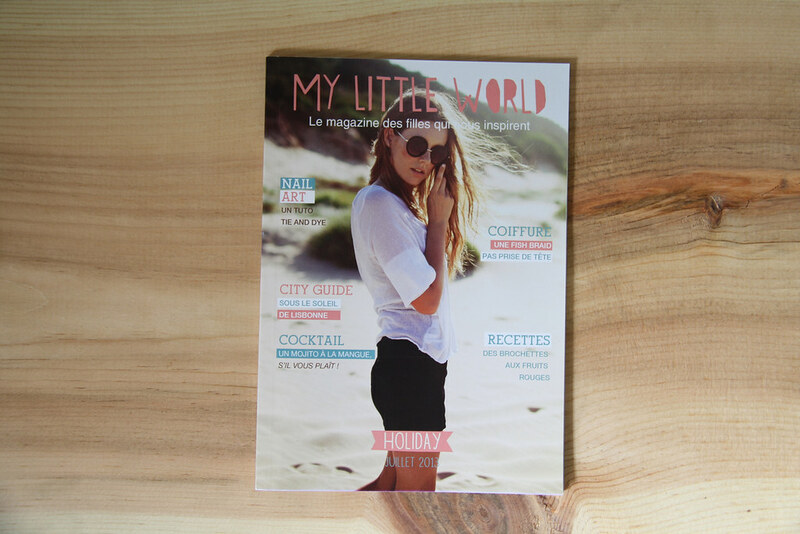 In each box is My Little World, a magazine featuring global trends and content from bloggers. 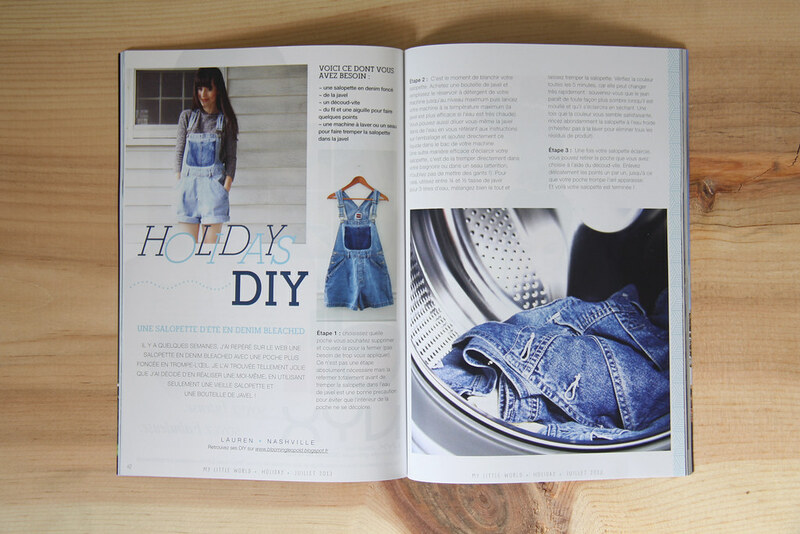 You can find my two-tone denim overall tutorial in July's Holiday-themed box! Thanks, My Little Paris! Follow My Little Paris via Facebook, or check out the original DIY post here.